Earning points and miles is the surprisingly easy part of award travel; it’s learning how to maximize value when redeeming that takes practice. 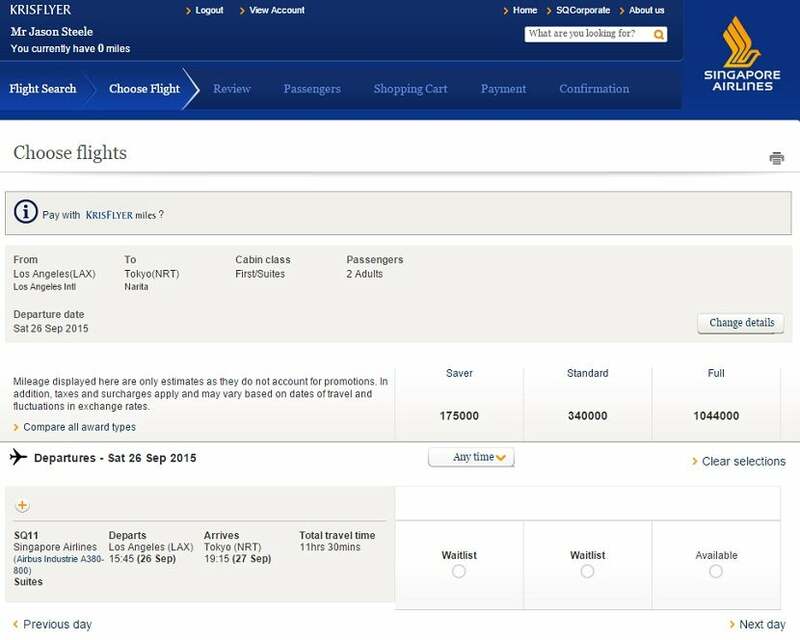 In this post, TPG Senior Points & Miles Correspondent Jason Steele explains how to use Singapore Airlines’ Waitlist option to save on the flights you want. 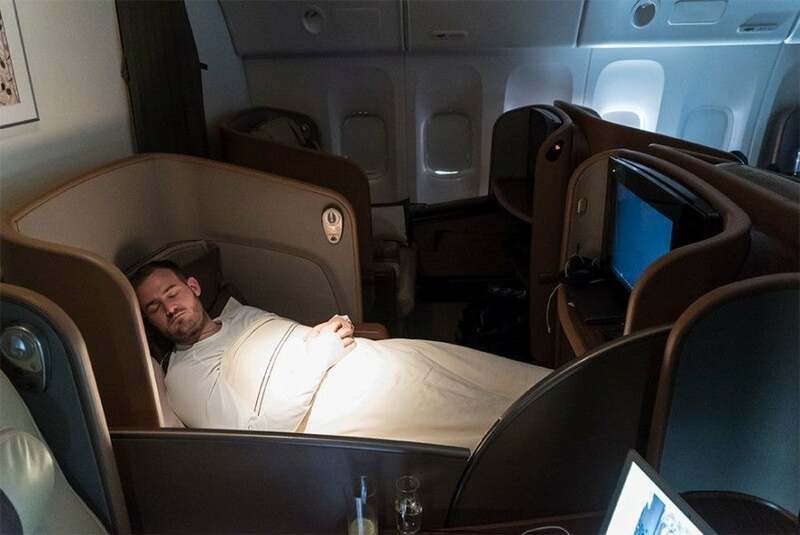 Singapore Airlines is widely recognized as having some of the best seats and service in the world thanks to its excellent business and first-class cabins, yet its award seats are also some of the hardest to book. So today, I want to take a closer look at a unique way to gain access to Singapore KrisFlyer awards using its waitlisting program. Singapore is notoriously stingy about releasing award space to its partners, and in fact, it used to just black-out awards entirely on several different aircraft types. While it no longer does that, it only offers a subset of available award seats to partners, making its KrisFlyer program the best way to book awards on its own flights. To make matters worse, United’s website will no longer even display any available awards for Singapore flights, although you can book available award seats by calling. So while it’s very hard to find an available award for the flight you need, when booking through KrisFlyer you can put your name on a waitlist for the seats you want, and the airline will only charge you if seats become available and your reservation “clears.” You can think of it as flying standby, but thankfully, the flight may clear at any time after booking, up to several days beforehand. 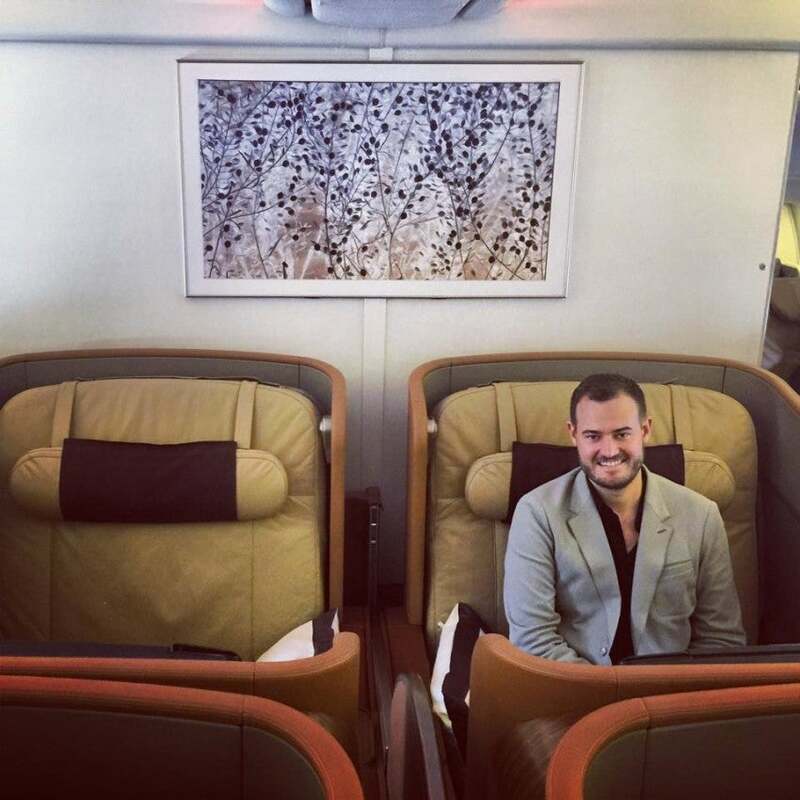 TPG travels to Seoul in Singapore Air’s first class cabin. Thankfully, the process for waitlisting flights is fairly easy. First, you will need to open a KrisFlyer account and search for the flights you want. Keep in mind that waitlisting is only an option for flights operated by Singapore Airlines, not its partners. When you do search for an award, you will see results as Available, Waitlist or Not Available (if the cabin is sold out) displayed at the Saver, Standard and Full mileage levels. And while you will often see the option to waitlist at the much higher Standard and Full mileage levels, there is little reason to do so (other than slightly better stopover rules that are hardly worth the extra miles). The big catch is that to waitlist an award you must already have the miles in your account. For those who are planning on transferring points from a flexible points program, this can be a tough decision to make, as these transfers are always irreversible. So if your waitlisted segment never clears, you’ll be left with a mileage balance in the KrisFlyer program, rather than one that can be transferred to other airlines or hotels later. Consider waitlisting a flight like this for a Saver award for 175,000 miles, rather than paying 1,044,000 miles for a Full award. That will work out 74,375 miles per person, each way, after the discount for booking online. Book early. Since awards can clear at any time, those who book early will have the best opportunity for an award to clear. Furthermore, booking early increases your chances of being ahead of other people who are waitlisting the same flight. Waitlist multiple flights. Even though you must have the necessary miles in your account to ticket any flight you waitlist, Singapore does allow you to waitlist multiple awards while only having enough miles in your balance for the single, most expensive award. So if there are multiple flights in a day to your destination, or multiple days when you are willing to fly, then you can waitlist several of them at once. Call Singapore. There are numerous reports that calling to inquire about the status of your waitlist request can positively influence your chances of having it clear. Some sources attribute this effect to the manual nature of the waitlisting process, while others claim there is a technical glitch that prevents waitlists from clearing. Personally, I think that both explanations have some truth to them. Avoid peak travel times. Waitlisted awards will clear if Singapore’s revenue management staff thinks that it is unlikely that a seat will sell, so clearly your chances of success are greater when you choose dates that are not in high demand, such as weekends and holidays. Book confirmed awards as backups. For some people (like me), it would be way too stressful to waitlist a flight and then have an entire trip hinging on the whims of a revenue management person at the airline. So the real trick is to have a backup flight booked in case your waitlisted award doesn’t clear. The good news is that once your award is on the waitlist, your miles are not deducted and you are free to spend them on a confirmed flight, perhaps in a lower class of service, at a less convenient time or with a less desirable routing or operating aircraft. Note that awards can be canceled and redeposited for a modest $30 fee. You can also call Singapore to book a confirmed seat in economy or business class and have the agent waitlist you for a higher class of service. Once the waitlisted seat is confirmed, the ticket can be reissued — the agent will deduct the additional miles required and you’ll need to pay a $20 service fee. If you’re doing this online, the trick is to waitlist all preferable flights first, as your miles will not be deducted from your account, then finally confirm the backup flight that is available, which will result in miles being deducted from your account. In that case, you would need to pay the $30 redeposit fee. And if positioning flights are necessary, I would recommend booking an award on Southwest, which offers free refunds of points if you cancel up until the flight departs. Singapore’s first class is worth the hassle. Have Singapore status. There are many reports of Singapore freeing up waitlisted awards more easily for those who hold elite status. But what if you don’t normally purchase Singapore tickets? Not to worry, as it turns out that Singapore’s KrisFlyer program is one of the best places to credit your United, Air Canada and other Star Alliance flights. Unlike United’s MileagePlus program, KrisFlyer still offers 100% of the miles flown. Silver Elite status requires just 25,000 miles, which isn’t much more than a single round-trip flight from New York to Singapore. Chase Ultimate Rewards. You can transfer your Ultimate Rewards points from your Chase Sapphire Preferred or Ink Plus cards at a 1:1 ratio. Keep in mind that transfers typically process within 24 hours, but can take up to two days. American Express Membership Rewards. Membership Rewards points transfer 1:1 to Singapore from cards such as the no-fee Amex Everyday, or the Premier Rewards Gold and Platinum cards. Transfers generally take 12-24 hours to complete. Starwood Preferred Guest. While it’s great that Singapore is offered as a transfer partner, it can take about three weeks for the miles to show up in your account! Points transfer at a 1:1 ratio, with a 5,000-point bonus for redeeming 20,000 points at once. Earn Starwood points from your Starwood Preferred Guest card from American Express. Citi ThankYou. Singapore might be one of the best airline transfer options available from the ThankYou points program, but transfers tend to take 2-3 days. The ratio is 1:1, and you can transfer points from your ThankYou rewards account if you hold a Citi Premier or Prestige card. If you’ve ever dreamed of indulging on an award flight on Singapore Airline’s Suites class, you’ve probably been disappointed when you’ve searched for award space from its partners. But if you have enough points in any of the four flexible point-transfer programs, and you are feeling just a little lucky, Singapore’s waitlisting program can help bring that award within reach.